Artificial sweeteners can cause health problems too !! It's hard to live a life without getting to eat delicious food sometimes. What is harder is probably not being able to eat sweet treats from time to time. Imagine not being able to have chocolates and ice-cream for like ten years, hard right? Cos that's what you see almost everywhere these days like how sugar is bad for you and the problems sugary foods can cause if you consume too much of them. So now after fearing about what sugar can do to your health, you’ve finally taken a vow to not consume sugary food items. Bye Bye sugar!! But deep down you still crave for all those sweet sugary moments once more in your life. Now you’re just helpless. Enter-The Artificial Sweeteners. You couldn’t be any more grateful to the people who created one of the greatest substitutes for man to thrive upon. So long sugar, welcome home sweeteners. Now you get back to enjoying your lifestyle of consuming all your sweet goodies and snacks. For this is the remedy to a non-sugary lifestyle right. What possibly could go wrong after consuming all those sweeteners. But here is the thing, you stopped the sugar diet, that's wonderful. But now you have just become so dependent on sweeteners and consumed more than you should. Would you stop this new lifestyle, obviously no right? Well, artificial sweeteners can be really bad for your health and instead of thinking it wouldn’t harm you, take a look at some of the side-effects of consuming artificial sweeteners. Just a reminder sweeteners aren’t all that helpful in losing a good amount of weight either. In fact, sometimes even the opposite can happen !! Artificial sweeteners can increase Appetite? Researchers have found out that artificial sweeteners can stimulate appetite in the brain. People from all over the world consume artificial sweeteners which are prescribed to them like as if it were medicine to treat obesity, despite little being known until now about their full impact on the brain and in regulating hunger. Studies conducted have found out that consuming artificial sweeteners can make you feel hungry and further it could also increase your appetite. Researchers have also identified a new system in the brain that senses and integrates the sweetness and energy content of the food. By conducting a study using animals the researchers found out how sweeteners had an impact on the appetite. After chronic exposure to a diet that contained the artificial sweetener sucralose, they observed that certain animals began consuming a lot more than they previously used to. Through a systematic examination of this effect, it was found that inside the brain’s reward centers, the sweet sensation is actually integrated with energy content Its like if sweetness versus energy was out of balance for a period of time, the brain re-calibrated and increases the total calories consumed. Researchers found out the chronic consumption of artificial sweeteners actually increased the sweet intensity of real nutritive sugar which eventually led to the animal’s hunger to increase by tenfold. Millions of people worldwide consume artificial sweeteners and they are prescribed as a tool to treat obesity, despite little being known until now about their full impact on the brain and in regulating hunger. Artificial sweeteners also promoted hyperactivity, insomnia and decreased sleep quality and also other behaviors consistent with mild starvation response or fasting state which also has similar effects on sleep. The study was carried out by Professor Greg Neely from the University of Sydney’s Faculty of Science along with researchers from Charles Perkins Center and the Garvan Institute of Medical Research. Artificial Sweeteners may be linked to the risk of weight gain, heart disease, and other health issues !! Researchers found out artificial sweeteners may be linked with long-term weight gain and increased risk of obesity, diabetes, high blood pressure, and heart disease. It was found that consumption of artificial sweeteners such as aspartame and sucralose was increasing steadily and becoming more widespread than ever. Other studies indicated that artificial or non-nutritive sweeteners may have negative effects on metabolism, gut bacteria, and appetite. Researchers conducted a study to determine the negative effects of sweeteners in contributing to weight gain and heart disease. They conducted a systematic review of previous studies that followed over a group of people for a period of several years. None of the trials showed a consistent effect of artificial sweeteners on weight loss. The longer observational studies showed a link between consumption of artificial sweeteners and relatively higher risks of weight gain and obesity. There were also other problems associated with sweeteners like high blood pressure, diabetes, heart disease, and other health issues. The study was carried out by Dr. Meghan B. Azad, Assistant Professor, Rady Faculty of Health Sciences, University of Manitoba and a group of researchers. Consuming large amounts of Sweeteners may increase the risk of Type 2 Diabetes !! Studies have now indicated that consuming artificial sweeteners can change the body’s response to glucose when consumed in large amounts and could also add to the risk of developing type 2 diabetes. A study was conducted in which the researchers selected 27 healthy subjects who were given a quantity of two different non-caloric artificial sweeteners(NAS) namely (sucralose and acesulfame-K) which was equal to drinking 1.5 L of diet beverage per day or an inactive placebo. These were consumed by the participants in capsule form who had to take them 3 times a day before meals over a two week period of the study. The NAS supplementation caused an increase in measures of the body’s response to glucose. This was even greater for both glucose absorption and blood glucose levels. However, none of these measures were altered in the participants who were given a placebo. 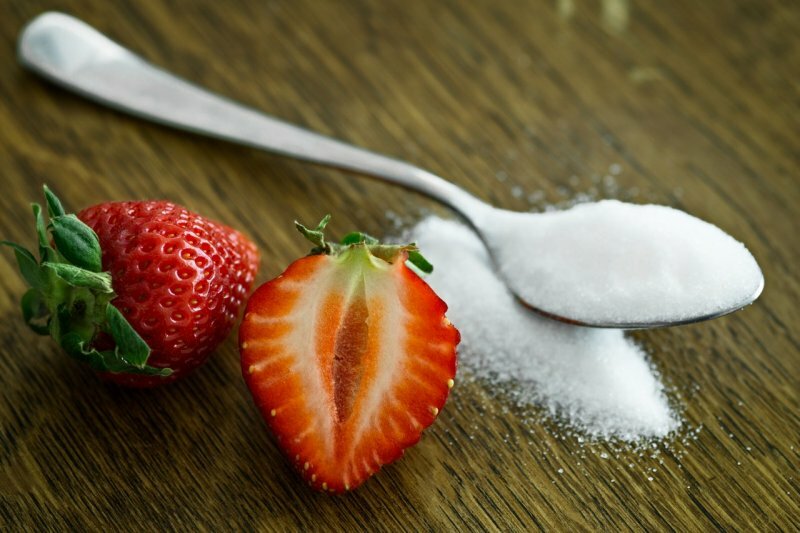 The study determined that within a period of two weeks, the individuals who consumed the non-caloric artificial sweeteners supplementation, the effect was enough to enhance glucose absorption and also increase the magnitude of the response of blood glucose as a result. The researchers concluded that artificial sweeteners could decrease the body’s control of blood sugar levels. This also highlights the potential for exaggerated post-meal glucose levels in individuals who frequently consume non-caloric artificial sweeteners. Furthermore, this could eventually lead to individuals developing type 2 diabetes. The research was carried out by Associate Professor Richard Young of the Adelaide Medical School, University of Adelaide, Australia along with other researchers from Adelaide based research institutions.